Art-competition.net is calling out to all amateur and professional artists around the world to participate in its contest named ,"Emotion & Energy Of Color 4". The participants age should be 18+. 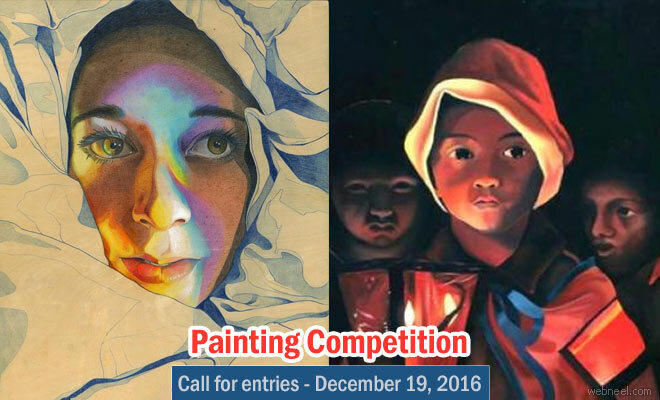 The entries should be submitted before December 19, 2016 (Midnight EST). The jury selection will happen on December 27, 2016 and winners will be notified on January 6, 2017. There will be 7 Winners and 10 Honorable Mentions. The selection will be based on the artists creativity and their interpretation of the world around them which focuses on colors and emotions. It can be based on anything, spirituality, dreams, passion and the list is endless. First Place: $500 in Cash and the artist is presented as a "Featured Artist" in the "InternationalArtistDirectory.com" that is marketed to over 12,500 art buyers = Value $1,500. The winner's artwork will also be marketed in an email marketing campaign "Art Market NewsTM" and website artmarketnews.net/ with over 18,000 subscribers = Value $3,500. The artist and their work will be marketed through our social media-marketing network through LinkedIn, Pinterest, Tumblr, Tweeter, FaceBook, GooglePlus, Instagram, etc. Second Place: $400 in Cash and the artist will be featured as a "Notable Artist" in the "InternationalArtistDirectory.com" that is marketed to over 12,500 art buyers = Value $1,500. *The 1st, 2nd, 3rd, 4th, 5th, 6th, and 7th place winner's artwork will be featured in Art-Competition.net "Winners Showcase" with links to their websites. Up to 10 Honorable Mentions – The artists and their artworks will be displayed in the "Honorable Mentions" Section of Art-Competition.net. Entry Fees: $20 for the first image, $10 each additional image.